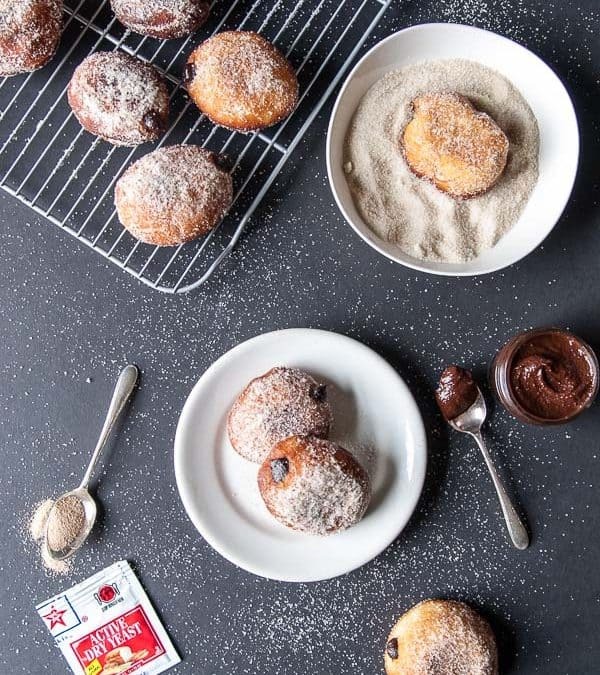 These Nutella donuts are filled with a creamy homemade vegan Nutella and are rolled in cane sugar for an extra hit of sweetness and crunch. I’m still in vacation mode in my brain, and I fried a batch of these Nutella donuts on Sunday just to prove it. I’ve always found it so hard to return from vacation and get into the working groove, especially when you throw Daylight Savings into the mix and then add a little of being sick during vacation on top of that. In other words, I kind of feel like I need a vacation to recover from my vacation, whew! I am always really happy to return to my kitchen, since eating out is great and all, but at the end of the day, I want to fry a batch of donuts and loaf on the couch for a few hours to really round out my vacation week. 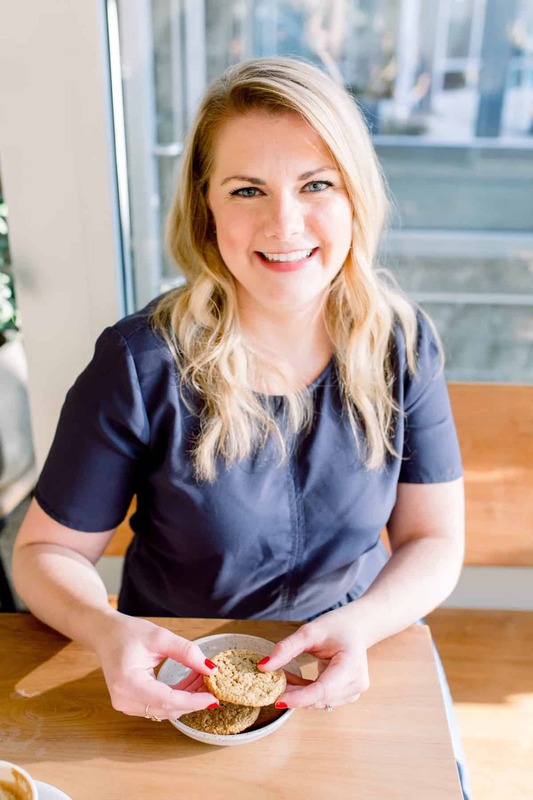 I’m so excited to introduce the first of a few recipes that I’ll be working on with Red Star Yeast over the next few months. I’ve used Red Star for as long as I can remember, always having the little packets of ever-reliable yeast in my cupboard and finding that their brand is the one I can rely on, rather than cross my fingers that it works. I knew my first recipe with them had to be Nutella donuts, and they actually turned out to be way easier than I thought they would be! 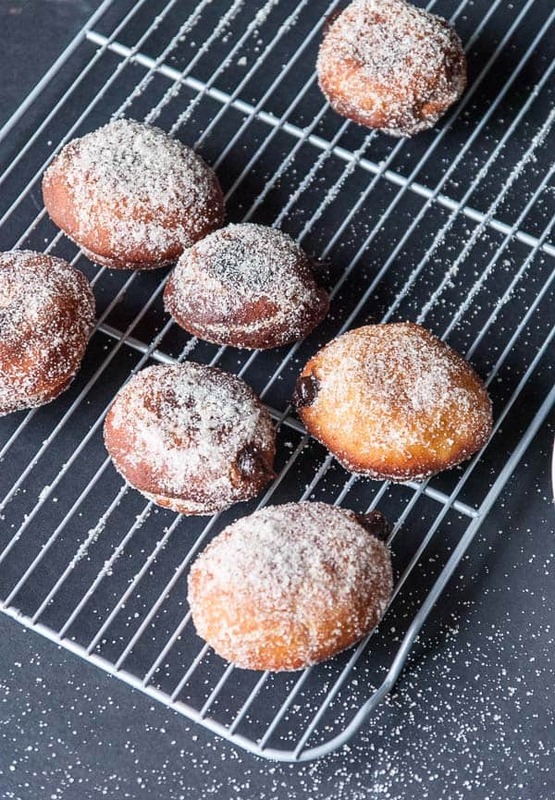 This recipe involves some hands off time for rising and then letting the donuts rest, but the actual making of the dough and frying isn’t hard at all. Also, don’t fear the frying part of this recipe, it’s quick and painless. As long as you don’t get the oil too hot, it’ll be a breeze! Make the dough: Making the donut dough is quite easy. Simply combine all the donut ingredients (which includes yeast, water, flour, olive oil, and sugar) in a large bowl, and stir until combined. Then, transfer the dough to a floured countertop and knead for 5 to 6 minutes, or until the dough is slightly sticky, but elastic. Let the dough rise: After you’ve finished kneading the dough, pop it into a well oiled bowl and let it rest, covered with a towel, until it doubles in size (this will take anywhere from 90 minutes to 2 hours, depending on the temperature of your kitchen). Shape the donuts: After the dough has doubled in size, gently deflate it and then shape the donuts. To shape the donuts, tear off a small piece of the dough and roll it into a 2-inch ball. You’ll want to slightly flatten the dough after you’ve placed it on the baking tray. Let the dough rise again: Once the donuts have been shaped and placed on the baking tray, let them rise for another 15-20 minutes. While the dough is rising again, heat the frying oil in a pan. Fry the donuts: Once the oil is hot enough, fry the donuts two or three at a time for 2 minutes on each side. The donuts are ready to be taken out of the oil once they’ve turned a lovely golden brown color. Fill the donuts: After you’ve taken the donuts out of the oil, roll them in sugar and then poke a hole in one end. 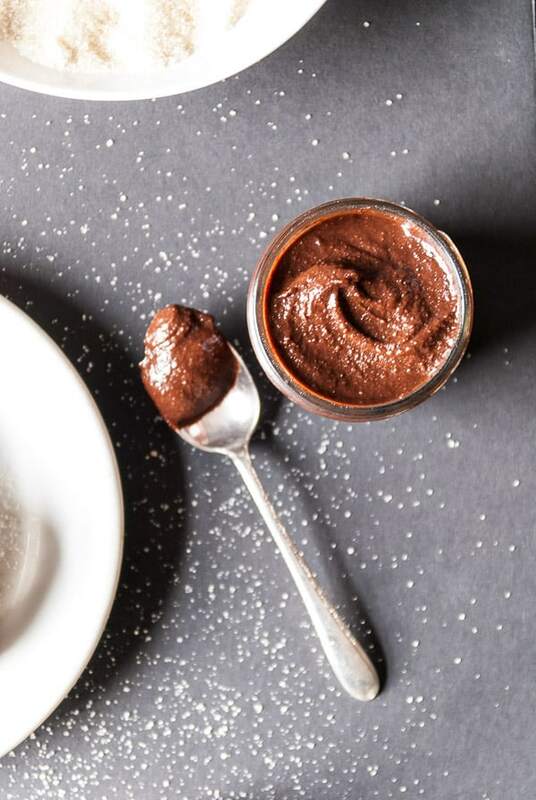 Fill them with homemade vegan Nutella and serve immediately! This post is sponsored by Red Star Yeast. Thank you for supporting the brands who keep this site going! 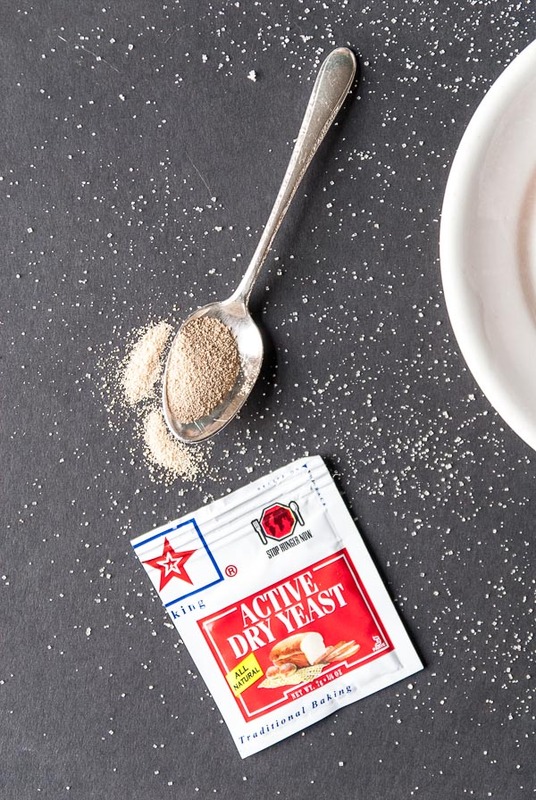 In a small bowl, mix together the packet of yeast, warm water and 1 tsp. of sugar. Let stand until foamy, about 5 minutes. In a large bowl, whisk together the 1/4 cup cane sugar, all purpose flour, salt, and baking powder. Add in the yeast mixture and stir until dough starts to come together. Add in the 1/4 cup water and olive oil and stir until combined. Turn the dough out onto a well floured surface and knead until smooth, for about 5-6 minutes. If dough becomes sticky while kneading, continue adding flour to allow kneading to continue. Transfer dough to a well oiled bowl and allow to rise for 2 hours, until the size of the dough has doubled. After the first rise, shape the dough into 2-inch round balls, flattening as you lay them out onto a greased cookie sheet. Allow to rise for 15 more minutes. After dough has risen, heat the olive oil in a small dutch oven or large skillet over medium high heat, make sure the oil isn’t too hot or it will start to smoke. Fry the doughnuts in batches, 2-3 at a time for 2 minutes on each side, or until they are golden brown. Transfer doughnuts to a cooling rack over paper towels to drain. 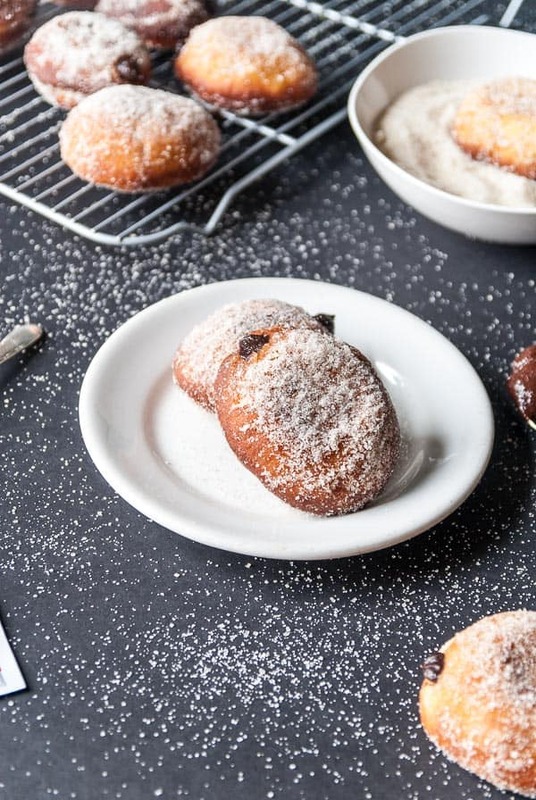 After all the doughnuts have been fried, roll them in the cup of cane sugar, then poke a small hole in one end, filling with a teaspoon or so of nutella each. Serve immediately. Sure be right over! haha! These look like a tasty treat! I’ll print this one for a Sunday breakfast! Maybe I’ll make them for you this weekend! Oh baby! These donuts MUST be making you feel better! They look and sound amazing. Anything with Nutella has me weak in the knees! Sorry your got sick on your vacation – that happens to me almost every time too. I’m cursed! I made a bunch of these but my friend Animal ate them all! Way too good! Abby, these donuts are stunners! 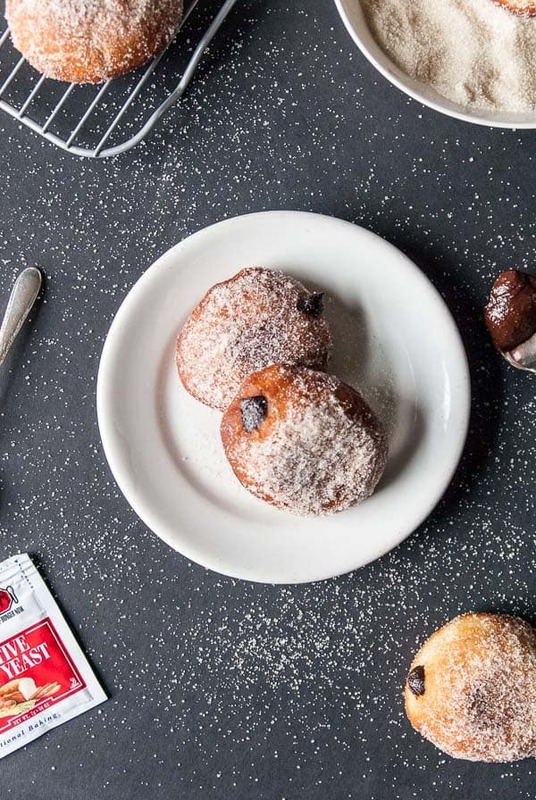 Filled donuts are the best, and when they’re packed with vegan nutella? I’m SO about it. Pinning! Wow, these look amazing!! I can’t think of anything more delicious. OH MY GOSH your new site is BEAUTIFUL!!! I’m so in love. And I want some of these doughnuts for the weekend. They sound perfect! Hi there! How much earth balance do we add to the batter? I can’t tell! Hi Christina, there isn’t any Earth Balance in this recipe! That’s what I thought! But at the end of instruction #2 it says that! Well shoot, you’re right! I’ve fixed the recipe, I’m glad you caught that!